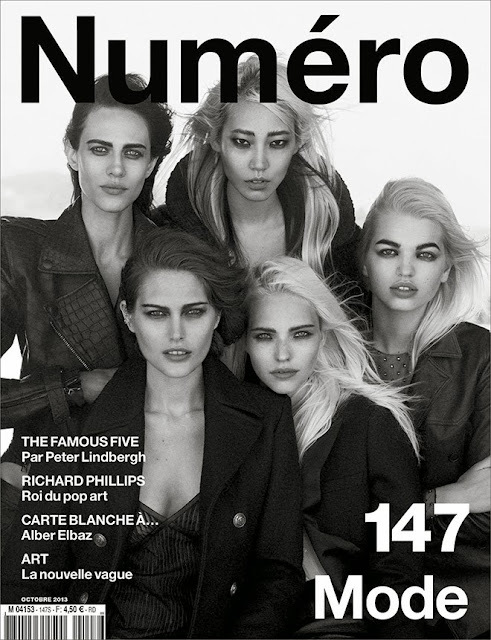 French Numéro and iconic photographer Peter Lindbergh anoint a new quintet of budding supers in a shoot which is reminiscent of the heady days of the early 90s supermodel era. Under the tagline "The Famous Five", an intriguing motley crew of today's most in demand faces bring their "A" game as they pose for Lindbergh's magical lens. The blessed Five include the dynamic Soo Joo, Australian comeback kid Catherine McNeil, the charismatic and drop-dead gorgeous Sasha Luss, the imposing Aymeline Valade, and Dutch ingenue Daphne Groeneveld. Lindbergh hones in on the five beauties as they pose on the southern shores of the English channel in France's Deauville. Soo Joo, Valade, McNeil, Luss, and Groeneveld glare down the barrel of Lindbergh's cinematic lens with a conviction and fearlessness that comes with the knowing of the significance of this moment in their career trajectories. Each model has a unique look, personality, and more importantly story to share. 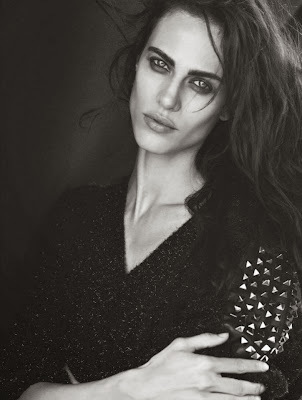 Both Valade and Luss modelled for years before hitting modelling's major league in their mid-twenties while Groeneveld shot to fame after being scouted at age 16, landing on the cover of Paris Vogue posing alongside designer Tom Ford. The beguiling McNeil was catapulted into the modelling spotlight via a six month exclusive photographic contract with Mario Testino before retreating from modelling to regroup, only to stage a comeback of epic proportion during the Fall/Winter 2013 collections with a mammoth 42 show tally. Platinum blond Korean Soo Joo is the current muse to designer Karl Lagerfeld and stars in the Fall/Winter 2013 Chanel campaign. Soo Joo is attracting just as much attention for her stunning physical attributes as for her incredible street style, dynamic personality and her musings on life, music and art which are chronicled in detail on her blog Soojmooj.